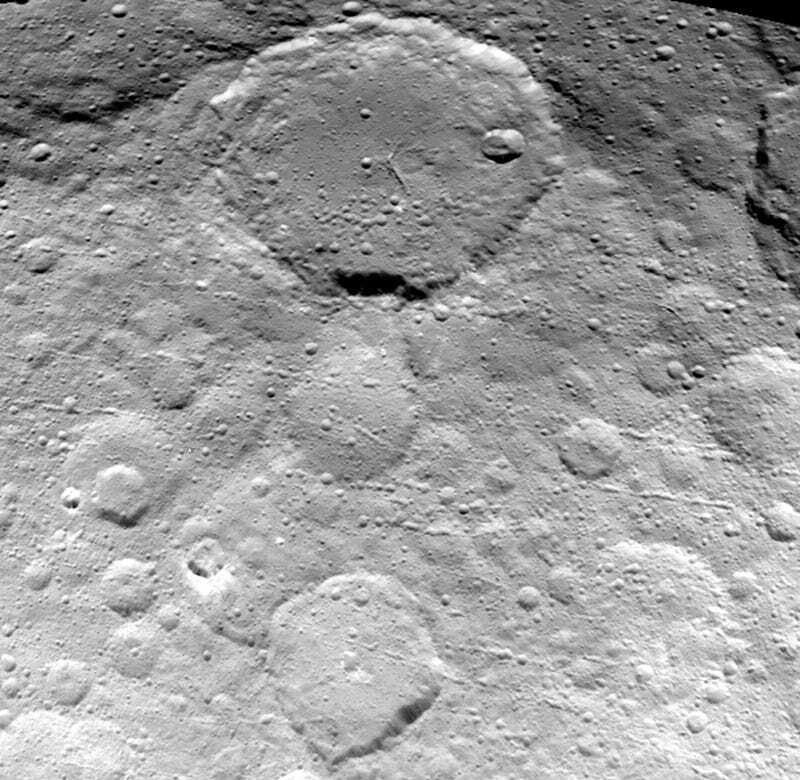 NASA’s Dawn spacecraft is getting progressively closer to Ceres. And we’re getting some amazing views — this remarkably detailed shot shows the dwarf planet’s cratered surface from a distance of only 3,200 miles (5,100 km). This shot, taken by Dawn’s OpNav9 camera on May 23, shows some previously unseen features, including secondary craters formed by the re-impact of debris strewn from larger impact sites.